The most recent two episodes (Jan 24 & 31) of my weekly program 'Arabology' (which airs on KZSU 90.1 FM on Thursdays 3-5 pm PST) focused on marking the second anniversary of the Egyptian revolution by featuring music from the Arab Spring plus exclusive interviews with Khaled Sayed (the Egyptian Director of the award winning documentary Egypt: The Story behind the Revolution) and Egyptian Fulbright scholar at Stanford Samar Ahmed who witnessed the revolution form the beginning while living in Cairo. Both podcasts are available for free downloading at the links below. * The January 24, 31 Arabology was the first in a 2-part series dedicated to the second anniversary of the Egyptian Revolution, and included my interview with Egyptian documentary filmmaker Khaled Sayed. This episode also showcased songs by artists who provided the 'soundtrack' to the Arab Spring including Ramy Essam, Rim Banna, Donia Masoud, DAM, Emel Mathlouthi, El General and many more. 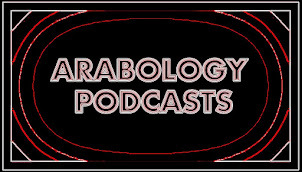 * The January 31, 2013 Arabology podcast continued to mark the second anniversary of the Egyptian Revolution by featuring my interview with Egyptian Fulbright scholar at Stanford Samar Ahmed + Music of the Arab Spring.